The Bugatti Chiron, with a price tag starting at $2.7 million, is in a class of cars we will never see here at Donate a Car Canada, but it sure is nice to dream! The Bugatti Chiron is the stuff of car dreams. It recently captured the keen attention of LEGO master builders. Their creative response to their own high speed imaginings? They built their own – out of Technic! As beautiful (and valuable) as she is, the Bugatti Chiron doesn’t even make BeautifulLife‘s top ten list of the world’s most expensive cars. Who does? Ferrari Pininfarina Sergio – $3 million. Aston Martin Valkyrie – $3.2 million. Limited Edition Bugatti Veyron by Masory Vivere – $3.4 million. Lykan Hypersport – $3.4 million. McLaren P1 LM – $3.6 million. Lamborghini Veneno Roadster. $4.5 million. Koenigsegg CCXR Trevita – $4.8 million. Sweptail by Rolls Royce – $13 million. These sleek, powerful machines belong to the world’s rich and famous. They’re show stoppers, to be sure! ‘Purchased a high-end beauty and need to donate your old jalopy? Maybe you’ve recently come into a disposable stack and you’ve decided to get that hard-earned Lamborghini? 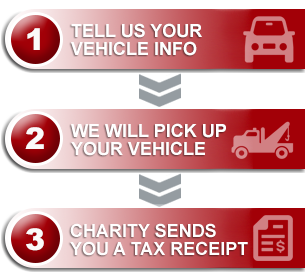 We’d love to take your trusty Honda off your hands and assist in doing something full of heart for your charity of choice!